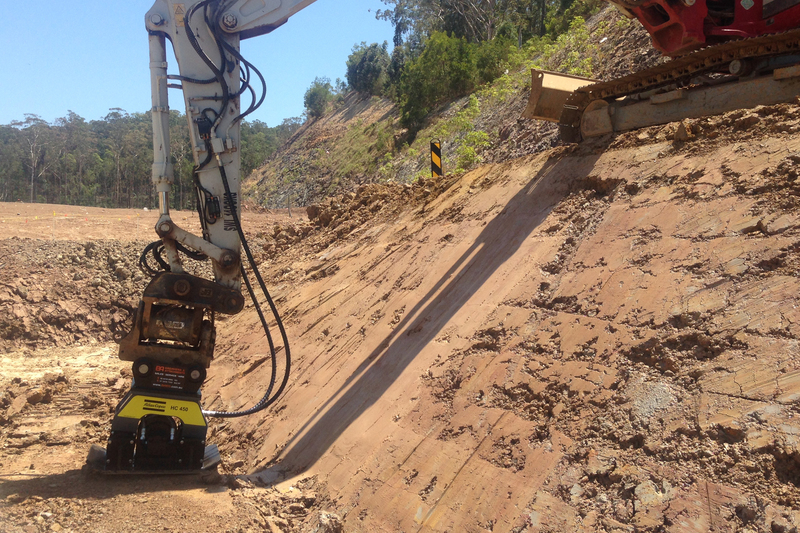 Hydraulic compactors are designed for compacting soil, trenches and embankments, as well as driving in and pulling out posts and formwork. 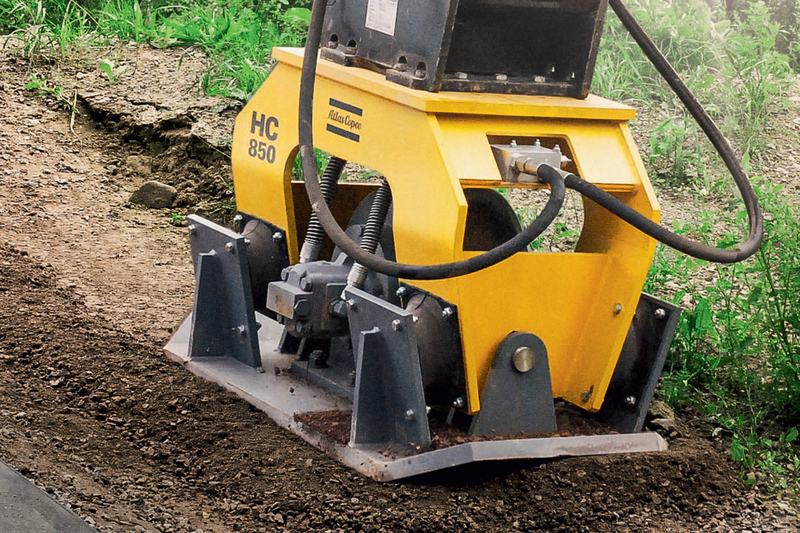 Machine-driven soil compactors work quickly and economically and are easy to operate. 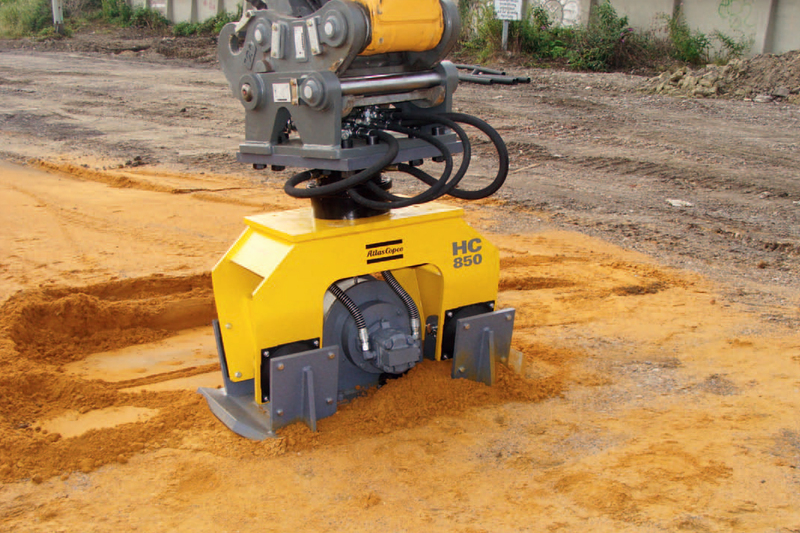 A compactor attachment creates little noise and offers added safety beneﬁts, particularly when used in trenches, as there is no longer any need for someone to stand directly in the workspace. Both the operator and the surrounding environment remain unaffected by the vibrations of the working equipment. There are no restrictions on the period of use per working shift. 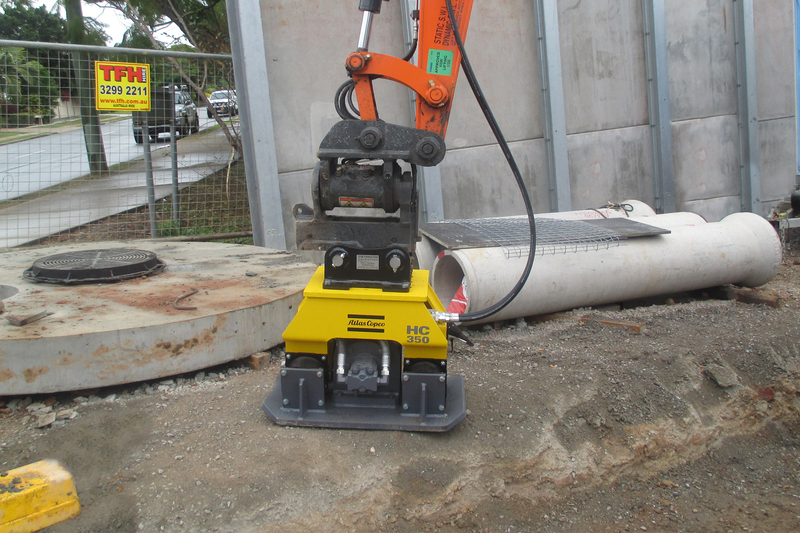 Optional continuous rotation device makes it easier to position the compac-tor. Even areas of the terrain which are hard to access can be reached more easily. 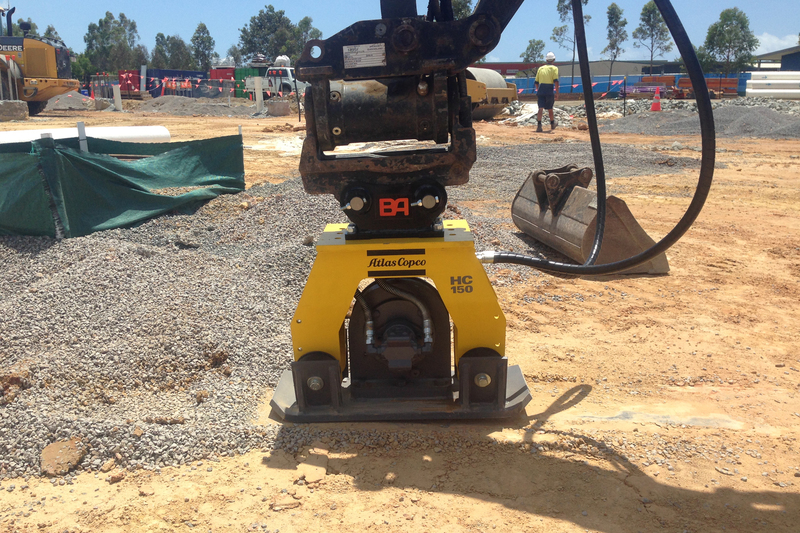 The productivity of the compactor can be enhanced considerably using this rotation device. These optional blades will make the compactor even easier to use. They level off the path so that work can progress smoothly and protect against any material being thrown up. ** With standard connector piece and socket tool.